The new phone looks, from the front, practically identical to the old one. It has the same 5.72-inch IGZO LCD display, with a 2560x1440 resolution and running up to a variable 40-120Hz. 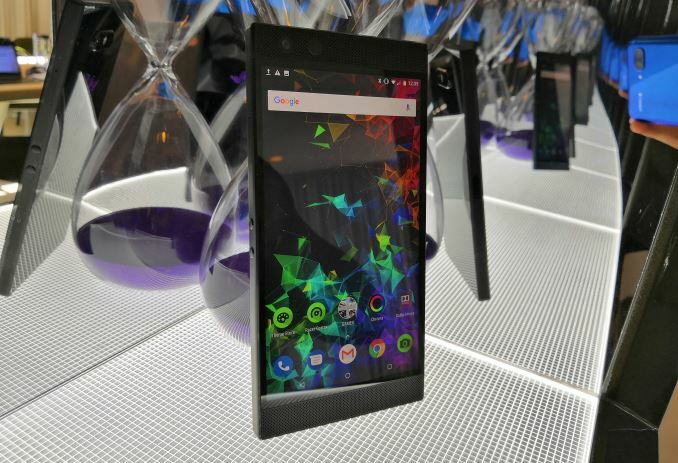 This display is rated at 645 nits peak, up to 50% higher than the previous Razer Phone, and also supports HDR. 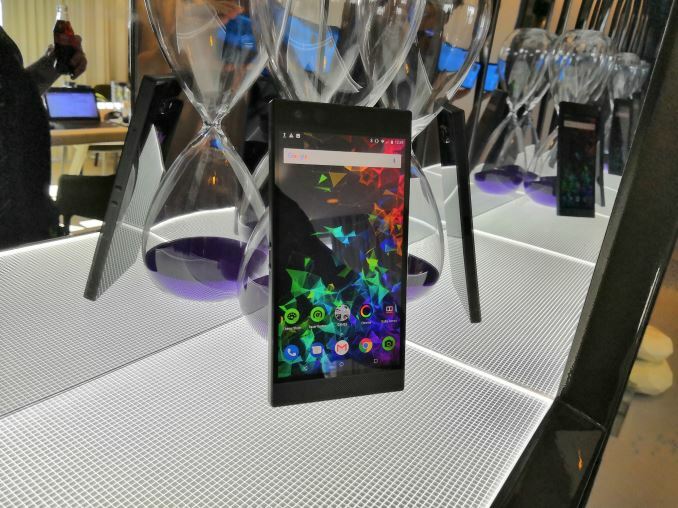 Razer states that the display also has wide color gamut, which turns out to be 98.4% of DCI-P3. Also on the front, it has two front facing speakers in identical positions to the previous generation, and it has a front facing camera and sensor (albeit with swapped positions). That front camera is an 8MP f/2.0 unit, capable of recording at 1080p60, a user-requested feature for streaming and selfie recording. The front of the device is Corning Gorilla Glass 5, an upgrade from GG3 in the last generation. When we move to the rear, things change much more noticeably. Instead of the aluminium rear, Razer has a full Gorilla Glass 5 back, which helps enable Qi Wireless Charging, a much requested feature. This is alongside QuickCharge 4+ through a Type-C cable. On the rear we have the dual cameras, this time placed in the center just above the logo. This time around Razer has gone with a 20MP Sony IMX363 f/1.75 main camera with OIS, and an 8MP Sony IMX 351 f/2.6 telephoto camera to enable some extra zoom functionality. These cameras can record in 4K60 or 1080p120, although not in HDR. 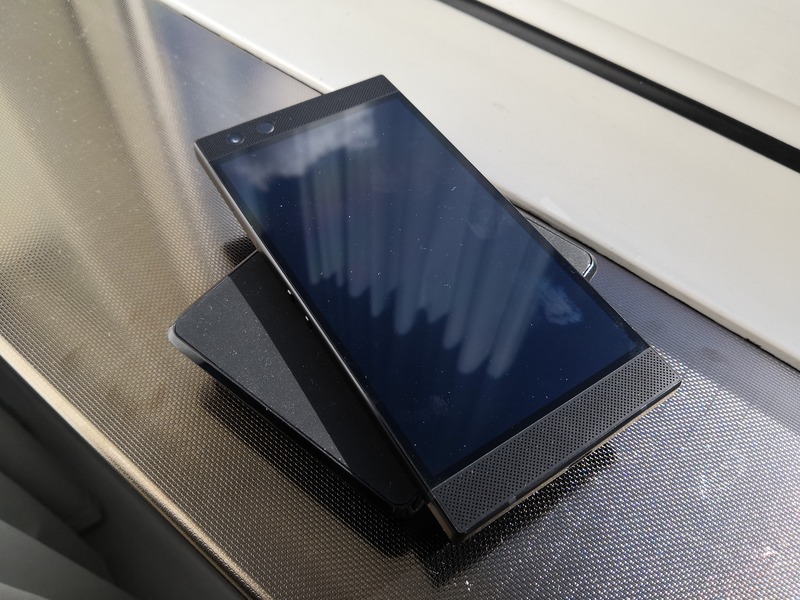 One of the biggest criticisms with the original Razer phone was the rear camera quality, and Razer states that along with the hardware improvement, the software is also a step above the previous generation. 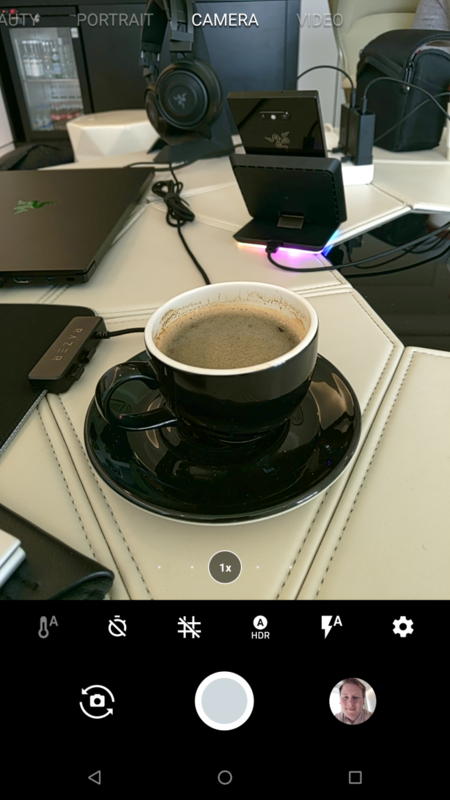 In this instance the user has access to features such as panorama shot, portrait mode, face beauty, timer, and the usual things we expect from a modern smartphone camera. 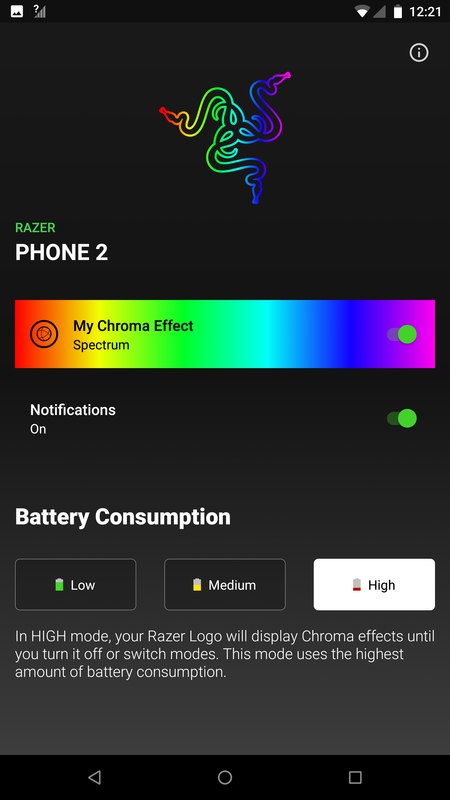 This is Razer's second generation software, which means they're still behind the main smartphone manufacturers who are on their 8th/9th versions of software, but a step in the right direction is a good thing. Below the cameras is the Razer logo, which has a full 16.8million color RGB LED underneath which users can adjust through the onboard Chroma software. spectrum (cycles through the colors). The level of brightness can also be adjusted. The reason for all these controls is battery life. Razer knows that at in adding this feature, users might be concerned about battery, so it has been designed to be fully configurable. For the other specifications on the phone, underneath is a Qualcomm Snapdragon 845, the standard frequency chip this time, but one that Razer says uses 'vapor chamber cooling'. The PR rep who gave us our prebriefing insisted this wasn't a heatpipe, but could tell me why it wasn't a heatpipe. Heddid say it covers more than just the SoC PoP package, covering other warm parts of the phone, such as the camera. As a result, we were told, the phone can draw 20-30% more power than other flagships, and has less drop off in sustained performance. Along with the S845 is 8GB of LPDDR4X memory and 64 GB of UFS storage. Razer is only going to produce one storage tier at this time, but states that their hybrid dual-SIM bay (Nano + nano/microSD) can support microSD cards up to 2TB when they are available. The battery is the same as the previous model, coming in at 4000 mAh, which is now a standard battery size for large flagship phones. One of the biggest specification differences is that this device is now rated to IP67. 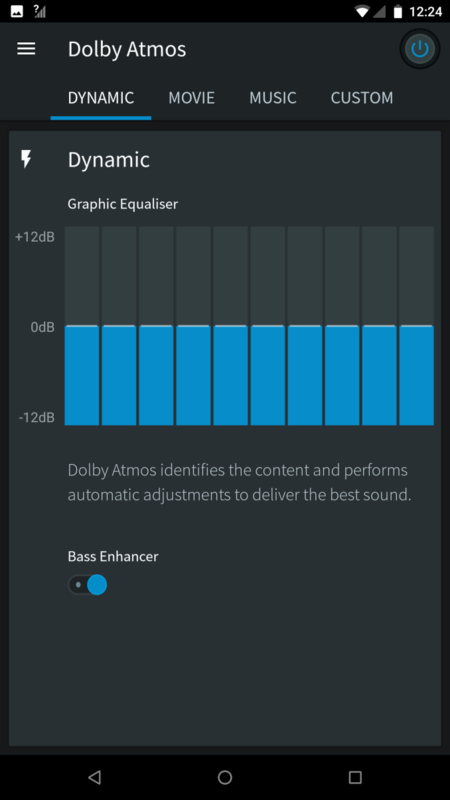 We were told that this was the main reason why the smartphone is ever so slightly bigger in z-height, but despite the challenge with the speakers and ports, the unit still has the same audio properties, as well as being Dolby Atmos certified. 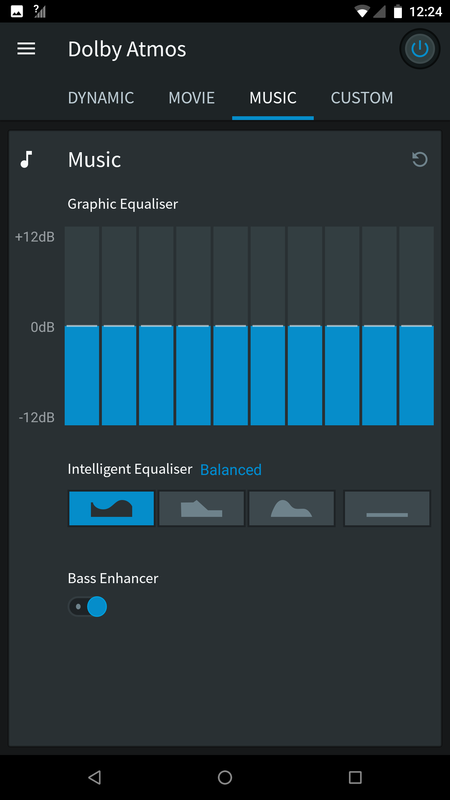 For users who like to play around with music, this means custom EQ profiles can be applied depending on the scenario. A very useful feature. 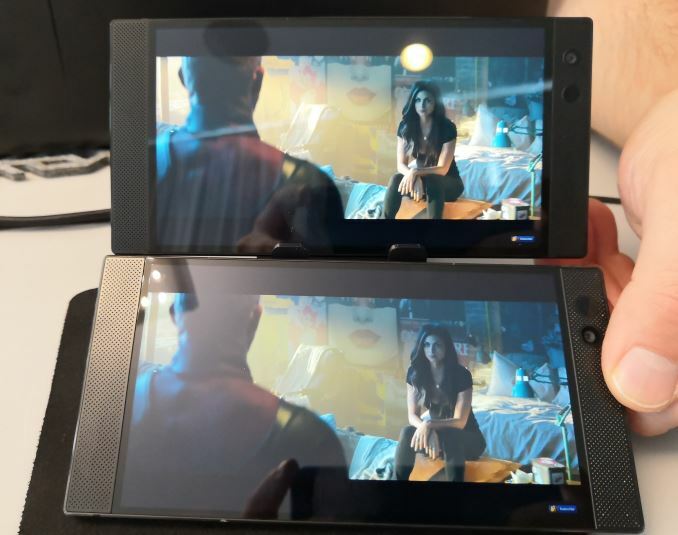 The combination of display and audio means that the Razer phone is the only smartphone certified for the combination both Netflix HDR + Dolby 5.1 - other devices on the market have one or the other. Around the smartphone is the fingerprint sensor, on the side again, along with a two-button volume rocker. Personally I have found this a bit easier to use than some other rockers on flagship devices. 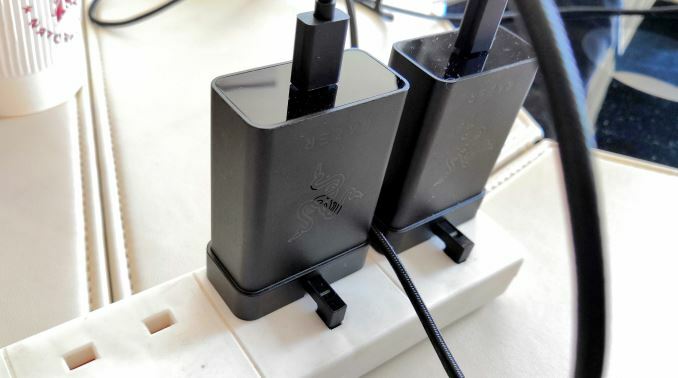 There is no 3.5mm jack, however Razer does include a USB-C to 3.5mm in the product box. Also in the box is a QuickCharge 4.0 wall wart and Type-A to Type-C cable. Razer is announcing the device today, and it will be available in priority regions very soon (if not already). Pricing for the smartphone will come in at £779 in the UK, $799 in the US, and 829 Euro. It will be launched with Android 8.1 initially, with updates to Android 9 coming at a later date. Along with the smartphone, Razer will also be launching a docking station that takes a USB Type-C connection. The key highlights enable the platform to lay the phone flat or resting up at an angle. 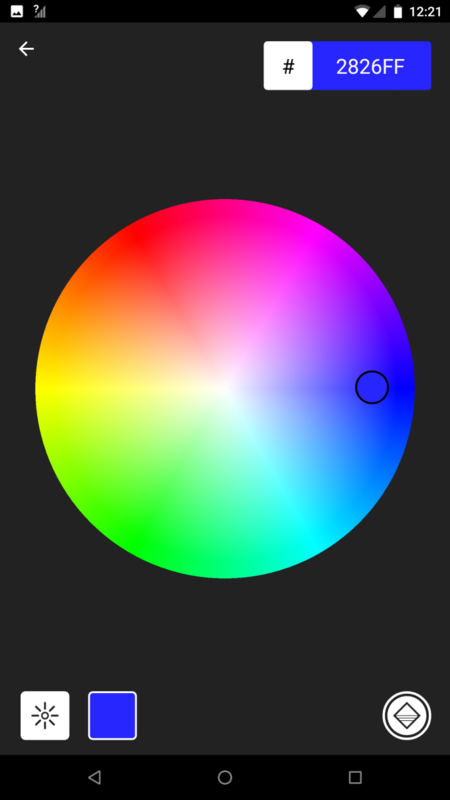 The key RGB highlights are the Chroma-controlled RGB underneath. Users will be able to adjust the RGB to either cycle, or go to green when under charge. 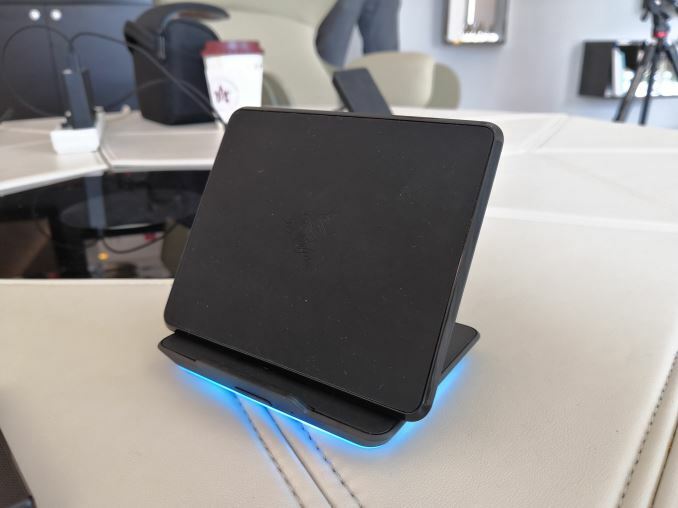 The wireless charging station will be available in certain markets where retailers decide to stock them. Price is unknown at this point, but the unit is going to be released at the same time as the smartphone. 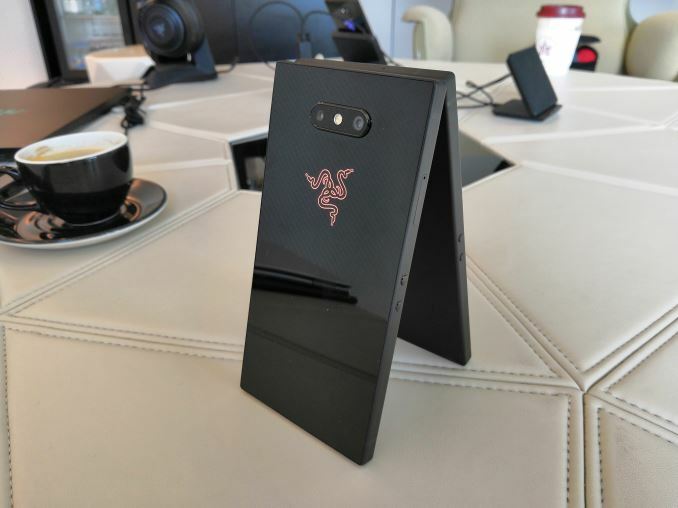 I remember using the first Razer Phone for a short while after launch. It was big, it had some bulk, and the sharp corners didn't do it any favors. The custom Android OS, designed primarily for speed, while fast had some teething issues. The camera, for one, was reasonable for still, brightly lit photographs, but nothing else. 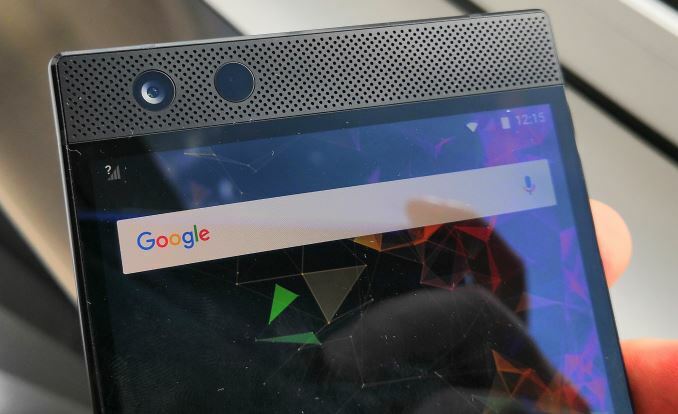 Razer says that a lot of feedback was taken in for the design of the Razer Phone 2, and by and large all the things added make sense. 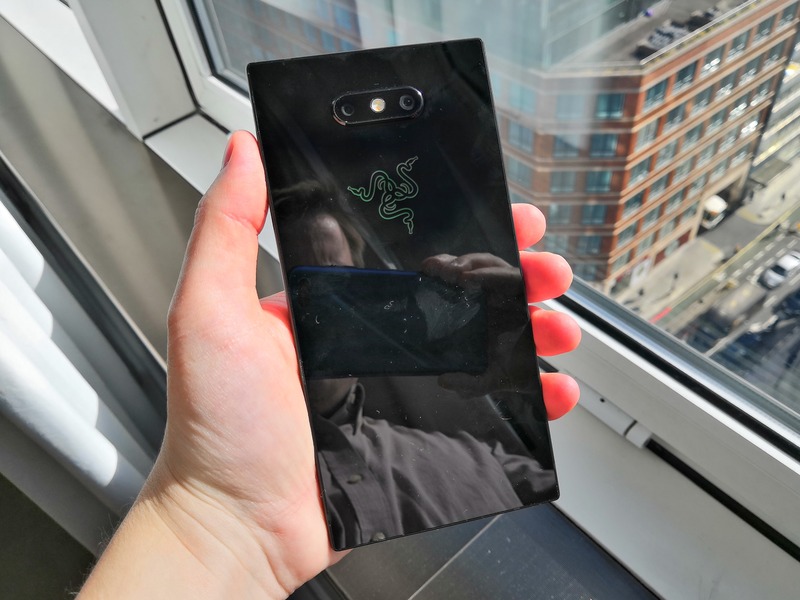 Starting with the camera, the updated software looks a lot easier to use, and the features such as portrait mode and HDR, with the buttons in places you expect, is where Razer should have been on day one with the first generation. Using Sony's IMX363+IMX351 cameras will help with the quality, as well as the promise of refined post processing. The thing missing from the camera at this point is the kind of AI "enhancements" that we see on other flagships, that help disguise any imperfections and make an average camera look good, or a low-end camera look average. I need to spend more time with the device in order to see it work, such as with video recording, but the prognosis was positive. 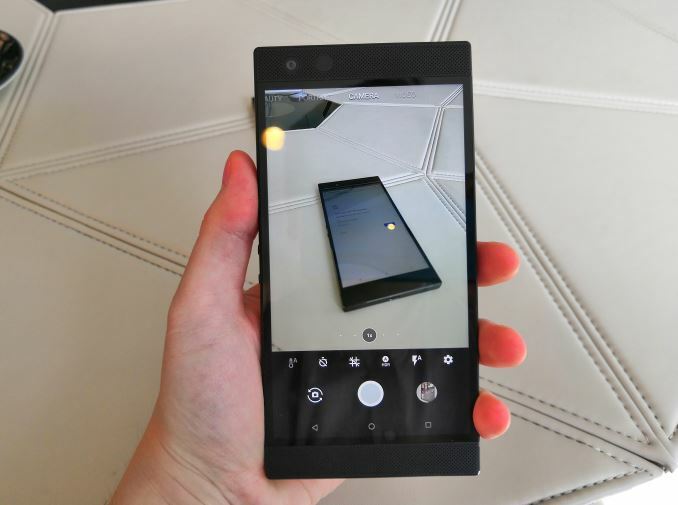 With the feel in the hand, the Razer Phone 2 is certainly less rigid in its angles. The phone is still angular, and that pointy edge will still leave a mark when it is in your trousers for hours, but the edges are slightly chamfered to make it easier to hold. This makes the feeling of that sharp retangular-ness of the phone reduced for sure. The glass on the rear wasn't particularly noticeable when holding the device, and the Chroma LED on the back is just a show-off, but can thankfully be disabled almost all of the time. For a number of regular users, it might just act as a sizable notification light. In this scene, the detail behind the character and the forehead is easy to discern both brightness and detail. Both devices were set to 100% brightness. Other features, such as wireless charging, are personally very important to me. Ever since my first wireless charging phone, I find my smartphone a lot easier to use day-to-day. Sure, there's still some battery anxiety, especially when I'm out and about with hotspot requirements, but more of my travel involves being in hotels or meeting rooms that are investing in wireless charging technology. Now admittedly the Razer Phone is using the Qi wireless charging standard, which means it would incompatible with by V30 (which I'm still using), but wireless charging has to be more of a thing in our industry today (in my opinion). The waterproofing, specifically IP67, in my opinion is a bonus tick. Waterproofing has never been a personal requirement of mine, but it is nice to have. There is a sizable portion of the market that have IP ratings as a must-have, and it seems Razer has been able to implement it and still keep the essence of the device. It's not something I'd actively seek out, but as mentioned, it's still something in the plus column. Other features, such as the 120 Hz display, and the 120 Hz display polling, are going to also be positives - I suspect a large number of users that invest in this Razer Phone 2 will have it high up on their list of requirements. Personally the games I play tend not to be taxing, such as idle games or simple 2D elements, but for the odd 3D driving game, I suspect that 120 Hz is going to be a welcome improvement to my experience. I perhaps think that going for a 6GB DRAM / 128 GB storage might be more welcome than the 8GB/64GB configuration however - I wonder exactly what users would need to do in order to hit 8GB of DRAM on a phone. I've noticed a number of journalists already comment on the price. The last generation was $699, so this one being $799, with the feature changes is perhaps to be expected in a world where $999+ for a flagship device seems to be increasingly the norm. 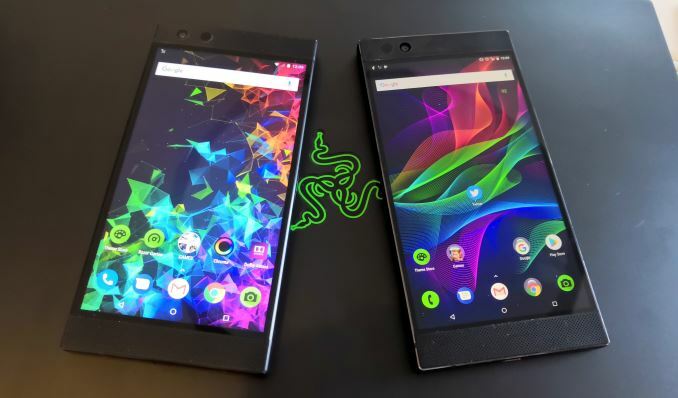 Title Image: Razer Phone 2 on the left, Razer Phone on the right. I bet you couldn't tell. This is basically the anti-pixel. Assuming you can get one into Andrei's hands I'd be very interested to see how effective the vapor chamber is. Without a way to increase external surface area of the phone (like with fins vs just making the phone BIGGER) I'm not sure how else they can increase the thermal dissipation without something like a vapor chamber.